Do you feel alone, overwhelmed or hopeless? Are you or someone you know thinking about suicide? Crisis services provide immediate emotional support and resources to people in distress and their worried family and friends. Didi Hirsch’s Suicide Prevention Crisis Line is a leading member of the National Suicide Prevention Lifeline at 800-273-8255. We are one of two centers in the national network with English- and Spanish-speaking crisis counselors 24/7. 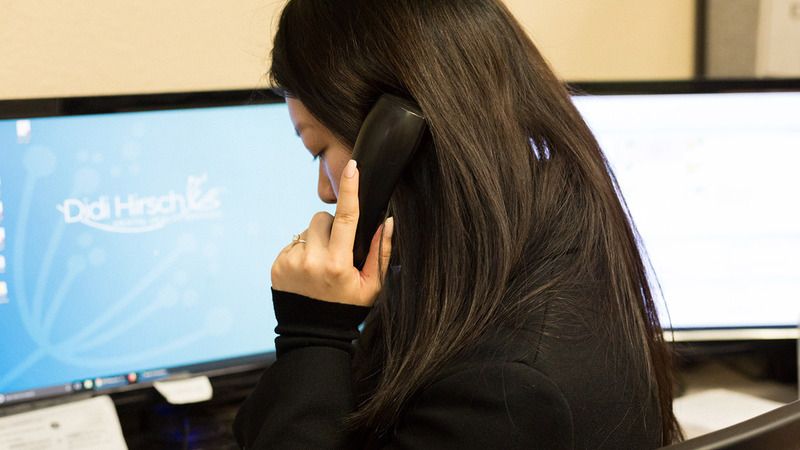 We also have Korean-speaking counselors during peak evening hours at 877-727-4747. Crisis Chat provides secure and confidential online support for those who are unable to use the phone or who prefer to connect to a counselor via web chat. People who are deaf or hard of hearing and who need support in a crisis can text for help by texting the word “HEARME” to 839863. The service is available 24/7. Our crisis counselors answer Teen Line’s calls at 310-855-4673 during the 20 hours a day teens are unavailable to talk. We are one of three centers in the nation who take calls on the national Disaster Distress Helpline at 800-985-5990. Victims of natural or manmade disasters can get support and resources 24/7 from the Helpline. We offer follow-up services to high-risk callers and those recently discharged from local hospitals after a suicide attempt. In partnership with the Los Angeles Mayor’s Crisis Response Team, our Suicide Response Team will go to the scene of a suicide to provide immediate comfort or support.